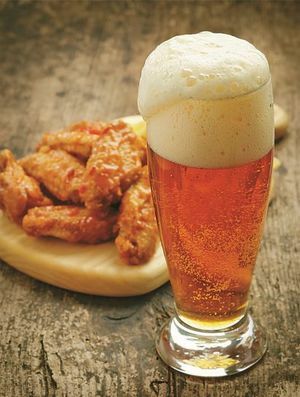 Chicken has grown in popularity over recent years due to the rise of “chimaek,” a word that compounded with chi (chicken) and maekju (beer in Korean). Some says it likes the celebrity power couple, joined nickname as chimaek. How has “chimaek” trend been come up? Why has the country been bursting with places to eat chicken. It is referred to “chicken republic” which relevants to the abundant chicken eateries in Korea and the effect of the nation’s food culture due to the fact that chicken has evoled into everyday comfort food for over the decades , then it became representative of Korean culture. As of 2013, South Korea had more than 20,000 fried chicken eateries, the market for fried chicken is worth about 3 trillion KRW (about $3 billion). Acoording to the lastest statics, each Korean consums an everage 15.4 Kilograms of chicken a year although the core of the meat’s popularity is the Korean-style fried chicken, combines western cooking techniques and oriental seasonings to suit the palate of the Korean consumers. It is in accord with the Statistics Korea and Fair Trade Commission early this year, Korea’s chicken market currently stands at 5 trillion won ($4.2 billion) in size, comprising of some 40,000 stores and 300 franchise brands. 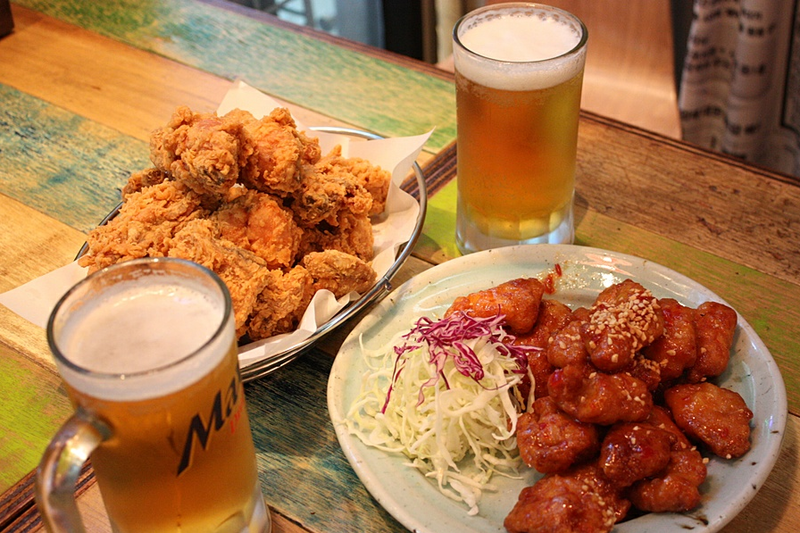 The most of non-franchise owner stores and beer pubs selling chicken menus are nowadays included, the number of chicken sellers in Korea is likely to be much higher than the commission’s brands. 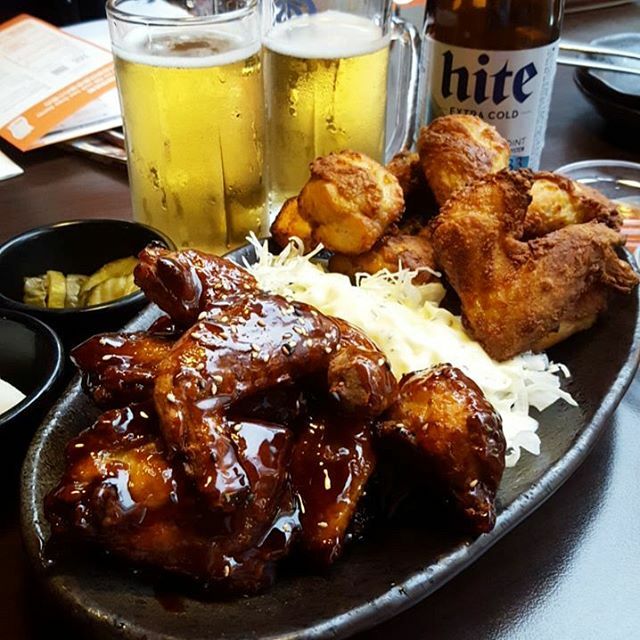 For the reasons of the trend of Uprising of “chimaek ”, the first is given its steady demand and frequent media exposure, chicken has become a popular item of the Korean culinary wave, especially in neighboring China because of the hit SBS drama “My Love from the Star”, on- aired during 2013-2014. After the release of a scene in which the drama’s heroine Jun Ji-hyun cheered up over chi-maek, holding a chicken drumstick in one hand and a cup of beer in the other, Chinese fans queued for hours at Korean chicken stores. The second is the travel agencies immediately added chicken meals to their tourist programs, while chicken companies and regional governments urged using chicken as a cultural promotion tool. Most of all, the third reason is that President Park Geun-hye gave her remark during a financial strategic meeting recently “Our country is like a chicken republic, where elderly retirees have no other way than opening a (chicken) store, regardless of their occupational skills.” It’s pushed on the support of a labor bill permitting the dispatch of elderly workers to correlated small and medium-sized companies, that became highlights the excessive boom of the market. So, no doubt that today chimaek eateries, restuarants, even stalls strewed all streets in Seoul, included the big cities of Asia, Europe and America. We have only one word of advice. Go crazy on the Chi and go easy on the Maek, your liver will thank us.